Fact: I love vacation. I especially love beach vacations. And, one of the things I like best about going on a beach vacation is the food. Just thinking about all of that yummy, deliciously delectable seafood is making my mouth water! From mahi to grouper, prawns to oysters, I’ll take it all…and I’ll take it now! As you can probably gather, I’ve eaten a LOT of seafood – particularly on the Gulf Coast. During my travels, I’ve found that few places do seafood better than Saltwater Grill in Panama City Beach, FL. 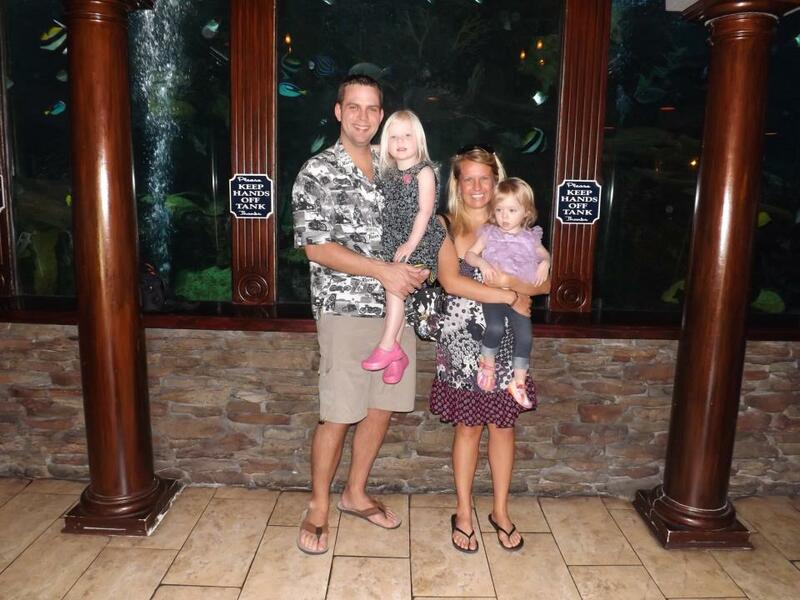 My family and I have spent quite a bit of time in Panama City Beach. Each time we go, we make sure to hit Saltwater Grill at least once. Owned by the same group that operates Firefly, these folks really know how to run a quality restaurant. The atmosphere is upscale casual, perfect for a romantic date night or for families of all ages looking for some great food. Attire is casual as well. Although you will see some people in slacks and evening wear, most men will feel comfortable arriving in shorts and a button up shirt while women are usually spotted in shorts or a sundress. Upon entering the restaurant, you are greeted by the magnificent 25,000 gallon saltwater aquarium. Complete with a giant reef, the tank is filled with several different species of tropical fish and is truly a favorite of children and adults alike. The friendly host staff is happy to accommodate your seating needs, and the professional and prompt wait staff will knowledgeably guide you through the menu and specials of the evening. While the aquarium and the staff are top-notch in their own right, the true star of Saltwater Grill is the food. Start your meal with some tasty “Firecracker Shrimp,” tossed in a creamy spicy sauce and served over Asian slaw. You may also wish to try the mushroom caps, which are stuffed with blue crab meat and topped with Béarnaise sauce. However, my personal favorite are the lobster spring rolls. These golden fried spring rolls are stuffed with Asian vegetables, Maine lobster (which arrives twice a week), and served with a delightful Thai chili sauce. This dish can be quite filling, which makes it the perfect appetizer to either share or eat alone as a main course. 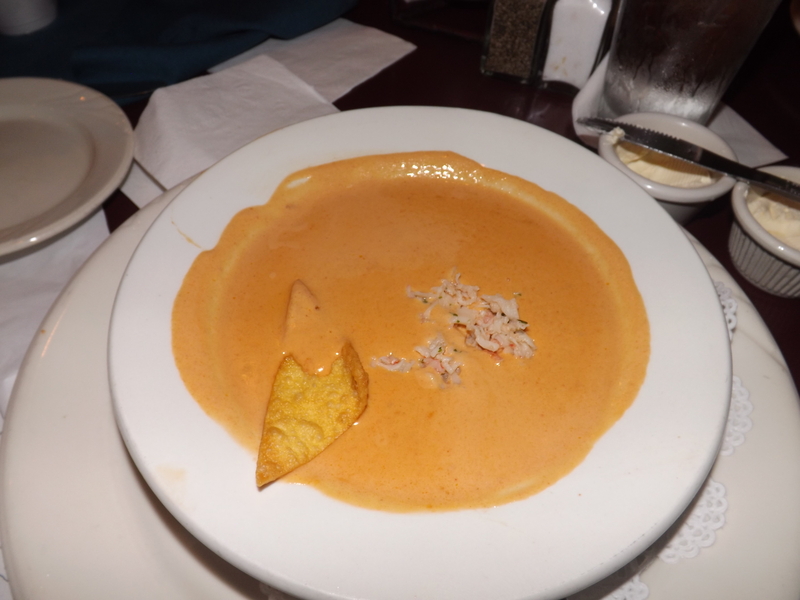 Enjoy a delicious soup and salad course by trying the rich and creamy lobster bisque. The tomato base and generous chunks of lobster are sure to please your palette. When it comes to salads, few places do them better than Saltwater Grill. The crisp, tasty vegetables are taken freshly from the garden. 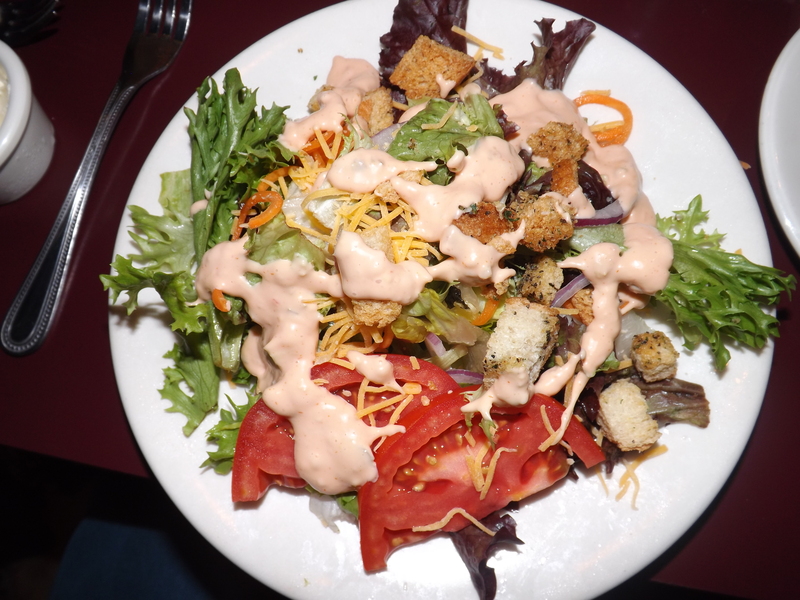 Holly’s favorite is the center cut iceberg salad, served with onions, tomatoes, wonderful Bleu cheese crumbles, and a tasty Bleu cheese dressing. I usually opt to enjoy the house salad with some freshly baked bread. Topped with a nice peppercorn ranch or creamy thousand island dressing, the freshness of this house salad makes for a truly a surprising delight. The main course offerings are a seafood lover’s dream. Choose from sesame seared ahi tuna, red snapper, or seared sea scallops. Pick your own Maine lobster from the live tank, or try the crab cake stack, served with crispy fried eggplant and smoked tomato fondue. 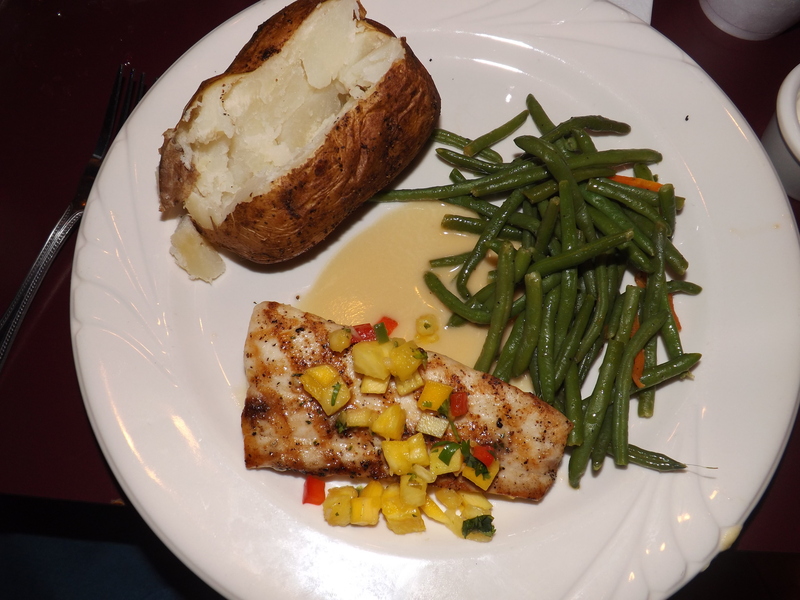 The mahi-mahi topped with pineapple salsa is also a treat not to be missed. Of course, this wouldn’t be the Gulf Coast without shrimp and grouper options. Try your shrimp lightly fried with a choice of potato and the vegetable of the day. Don’t miss the “Grouper Imperial,” a mouth-watering grouper filet sautéed in sherry butter and topped off with fresh lump crab meat. Seriously, peeps: Yummers! For those who prefer land fare, Saltwater Grill offers some heavenly options of its own. The 14 oz. ribeye is sure to satiate any hungry man’s appetite, while the chicken marsala will satisfy those with a craving for white meat. However, if you are going to skip the seafood, I’d recommend trying “Saltwater Grill’s Famous Slow Roasted Prime Rib.” While the standard cut is probably enough for most, the SWG cut is truly a generous helping for the hungriest in the group. Of course, you are going to want to dip this delectable dish into their delicious horseradish au jus. You’ll love it! No meal is complete at Saltwater Grill without sampling some of their dessert! Having tried all of these tasty treats, the key lime pie is certainly a favorite. Their creme brulee, bread pudding, and cheesecake options are also nice toppers to a delicious evening. For chocolate lovers (and for my kids), the chocolate lava cake can’t be beaten. Served warm and with vanilla ice cream, the chocolate simply oozes out of the cake’s center with each bite. In a word, it is simply AMAZE! Considering the quality of the food and the dining experience, Saltwater Grill is reasonably priced. With starters ranging from $8-13 and main courses running an average of approximately $22, we usually consider the evening a special night for the family. For those families with young children, or for diners who are looking to get great food at a superb price, Saltwater Grill offers an early dining menu from 4-5:30 P.M. daily. Priced at $14.99 at the time of publication, the early dining menu offers many of the fabulous dishes found on the main menu. Early birds can choose from 6 different main courses, with a house salad included. If you are going to Panama City Beach, Florida, this is a can’t miss dining experience! Delicious seafood, reasonable prices, and an inviting atmosphere make Saltwater Grill one of the best restaurants on the northern Gulf Coast. 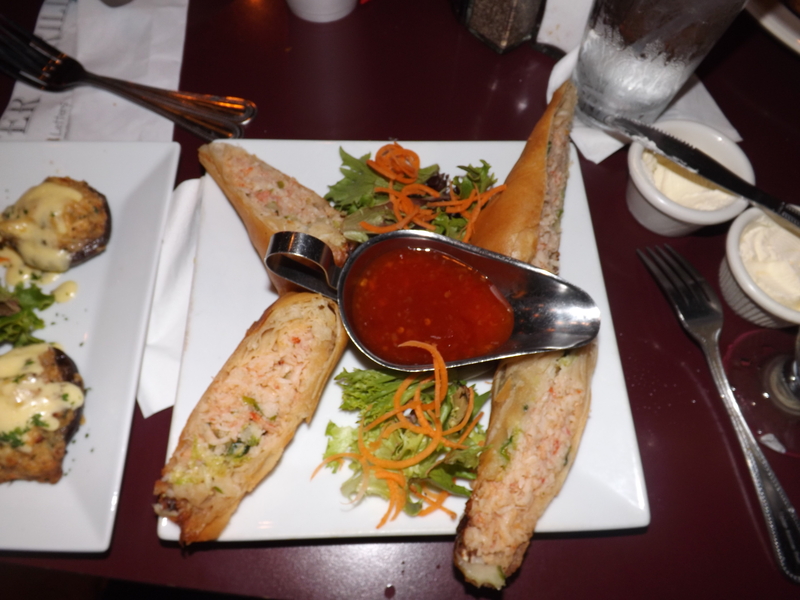 I loved reading this review of the Saltwater Grille restaurant in my hometown of PCB, FL. Spot on!